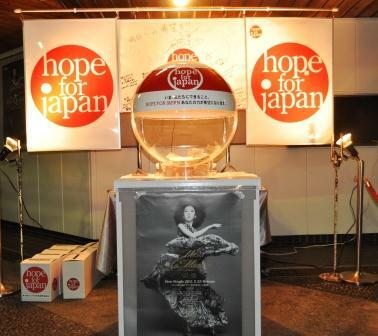 A donation box for HOPE FOR JAPAN has been provided by Shimizu Octo-Inc.and Nakamura Sobi-Inc. 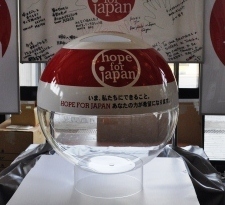 The globular donation box is made of acrylic. Comparing with paper moneybox, this capacious box has the durability.